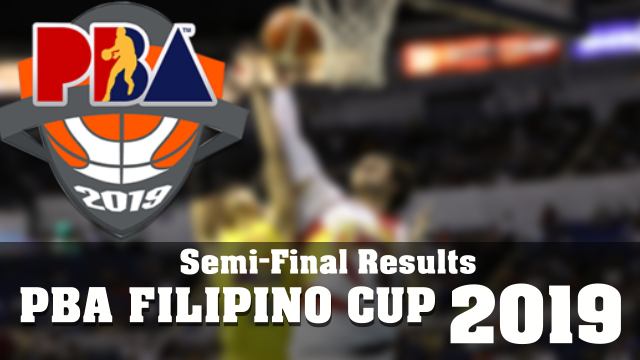 Manila, Philippines – PBA All Filipino Cup 2019 is now in the final 4 matchups, between Phoenix FuelMasters, Rain or Shine, San Miguel Beermen and Magnolia Hotshots. Both the top seeds easily clinch the semis, Phoenix dispatch the Alaska Aces “91-76” in 1 game, also on the other bracket the Rain or Shine eliminates the North Port “91-85”. Also the Manila Clasico series between Barangay Ginebra and Magnolia Hotshots comes to and end. Magnolia Hotshots who loss with a 29point margin in Game 2 “106-77” bounced back in game 3 to clinch the final semi-final position with 85-72 victory. Magnolia Hotshots will now face Rain Or Shine in a best of 7 semi-final series. San Miguel Beermen eliminates the TNT Katropa in a best of 3 with 2-1 advantage, after a hurtful loss in Game 2 “88-93” Beermen led by Junemar Fajardo bounced by with a wire-to-wire victory in Game 3 with “96-86” victory. Fajardo finished with 32 points and 14 rebounds. Beermen will matchup the top seeded Phoenix FuelMasters in a best 7 semi-final series.